Liebigs law states that growth is controlled not by the total amount of resources available, but by the scarcest resource, the limiting factor. In a similar way survival of a small boat in big ocean waves is controlled by the worst imaginable weather, not by sunny days. The capacity of the solar panels and the battery bank has to be designed to cope with the longest periods of overcast weather. For every aspect of the design of Yrvind Ten the worst conditions has to be taken into account. 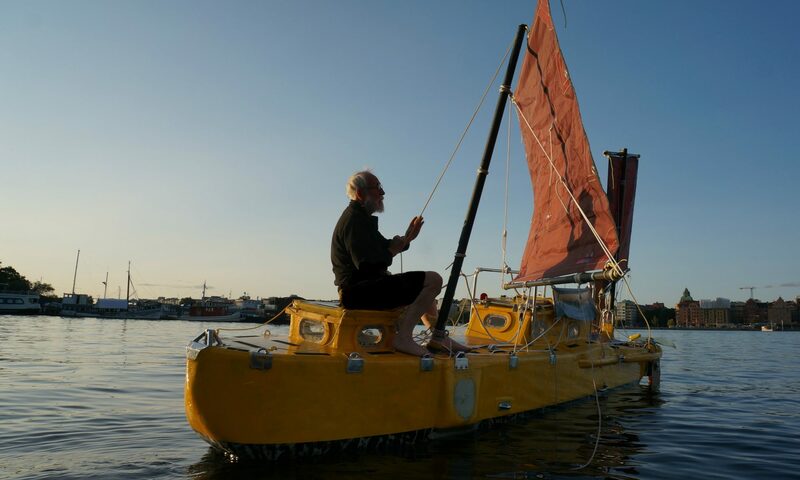 As the planned voyage is to circumnavigate the world non-stop with a time span of one year the boat obviously cannot be made as light and fast as if she was to be intended for a coastal cruise of a few weeks. I beg readers to take this into consideration when judging the planned boats weight and speed. The lines drawing and most of the primarily calculations are now done. I am making two layer plywood for the 1:8 model of 0,7 mm veneer.